It has been lovely seeing our crafting friends at the NEC. Yesterday was a busy day and 3 more days to go. Today we have Mag's final tutorial to share with you. Mags has decided to step down and we want to wish her well for the future. Thank you Mags for all your hard work and it has been a pleasure working with you. 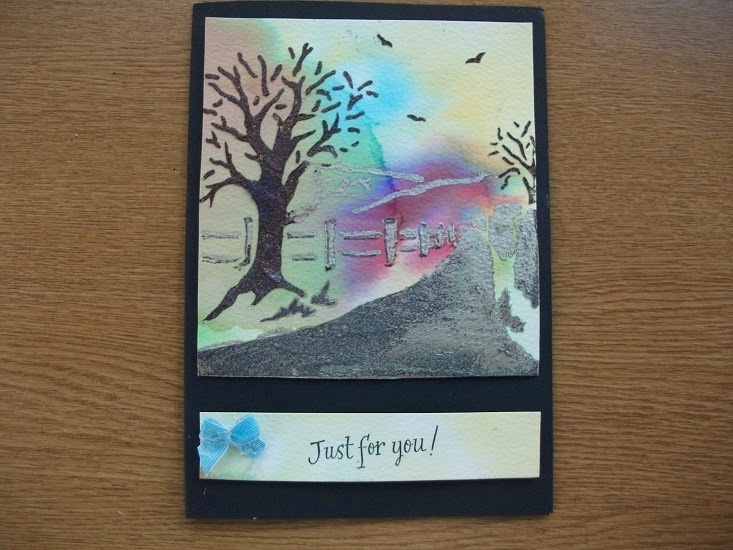 Apart from Imagination Crafts products you will also need Silver Mirri and white card, DL card Blank, Vellum, Brads, Sentiment, bow and gems. 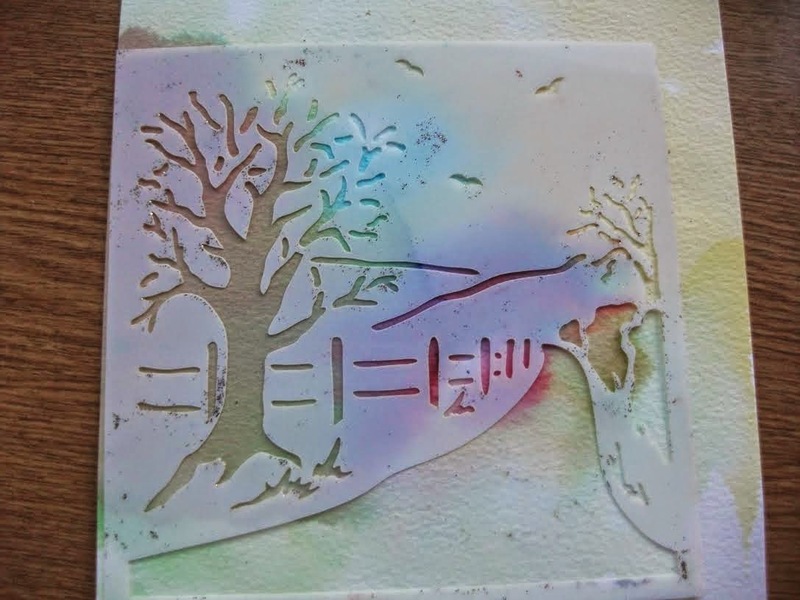 Tape the stencil down onto the vellum (coloured vellum has been used here but plain would work just as well). Apply the glue through the stencil. 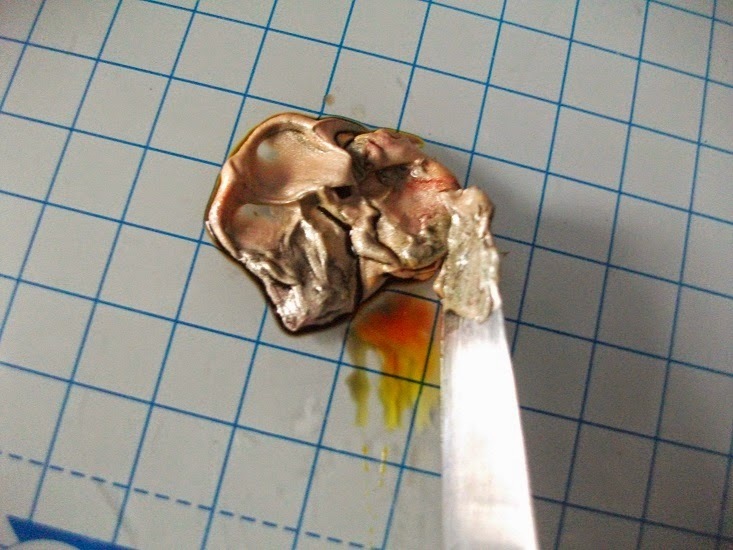 Use a sponge to do this and small tapping motion. 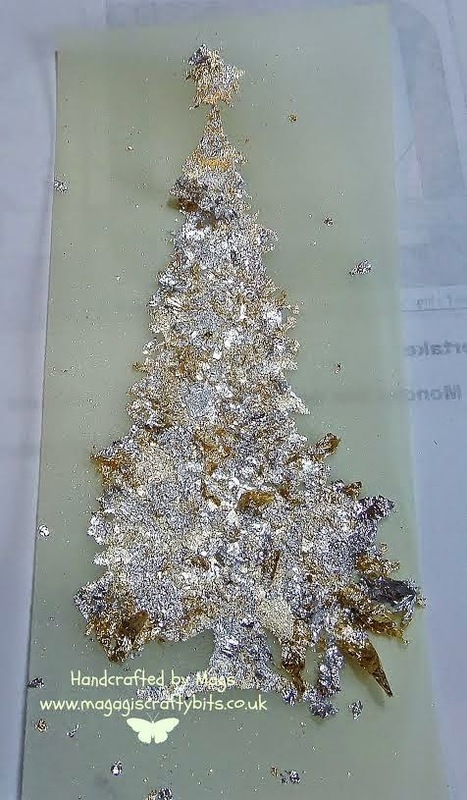 Remove the stencil and roughly apply gilding flakes removing most of the excess with your fingers. At this stage it does look a bit of a mess. Take your scoochy pad (designed specifically to remove excess gilding flakes) and rub over well removing all the excess flakes and buffing up the shine. If you don't like glue showing through vellum attach the vellum to the white card using a brad in each corner. Mat onto silver mirri card and then onto the DL card blank. 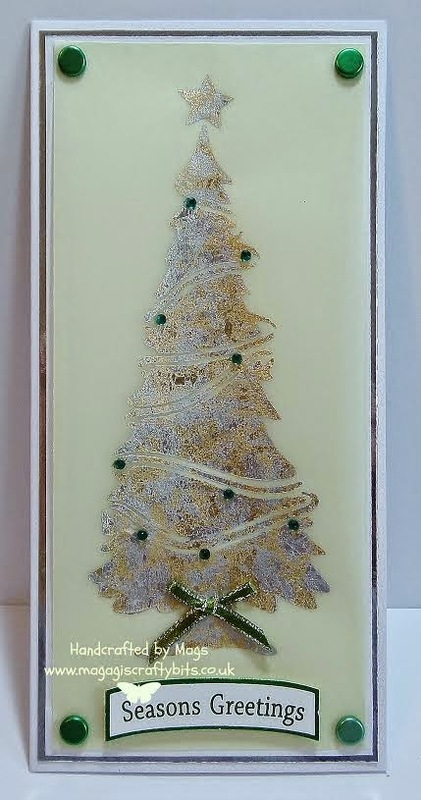 Add the sentiment, bow and some little gems to the tree. Hope you decide to have a go. 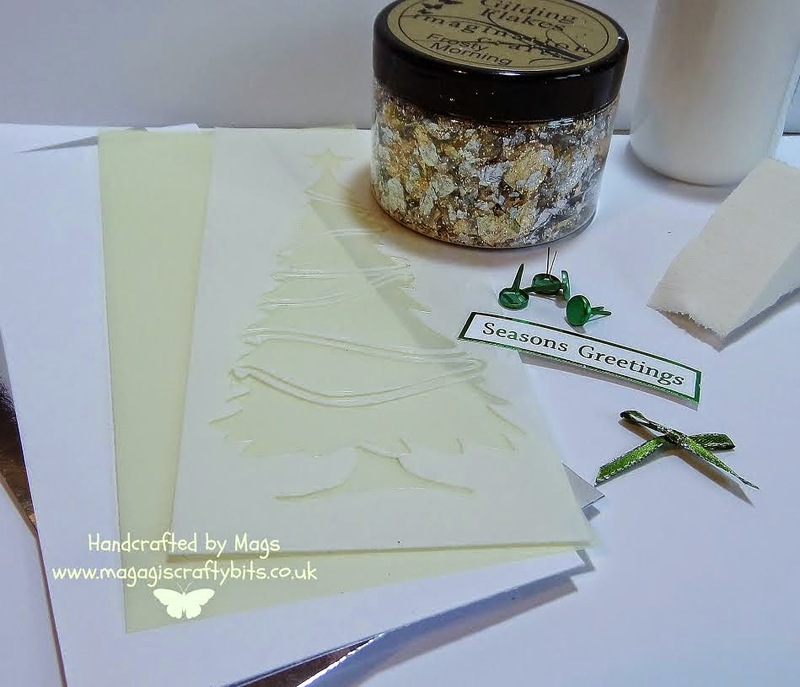 An effective card and the gilding flakes do add a touch of elegance. Today we are at the NEC setting up for the 4 day show in Birmingham. We are looking forward to seeing you all this weekend. We will be on stand A16! We have Sue and Lisa demonstrating and I will be doing the Make and Takes. Make sure you get there early to book your place. 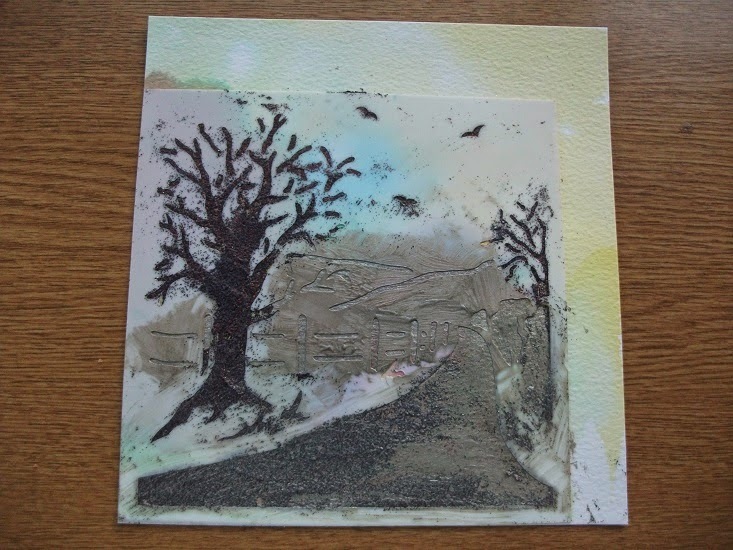 Today we have a tutorial from Christine. 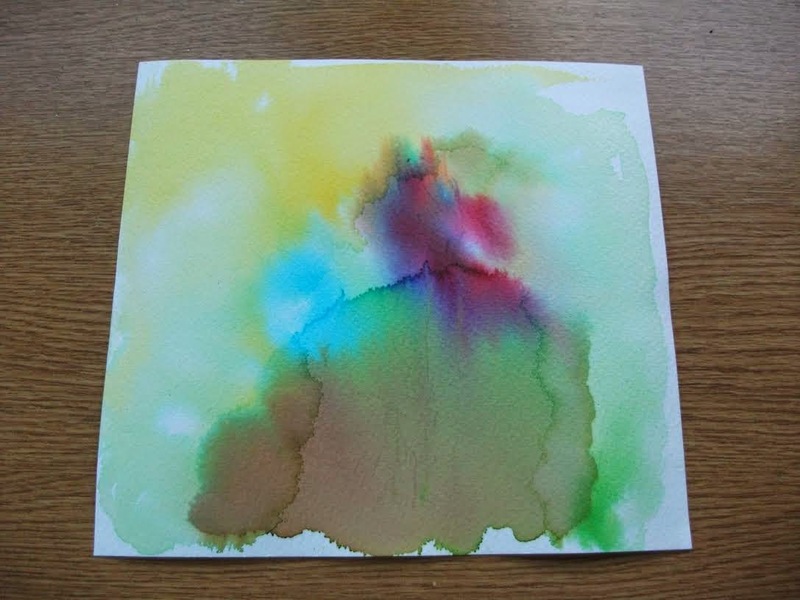 Wet some water-colour paper and add drops of different coloured Inkadinks Once the inks have spread and the paper is dry you can go onto the next step. 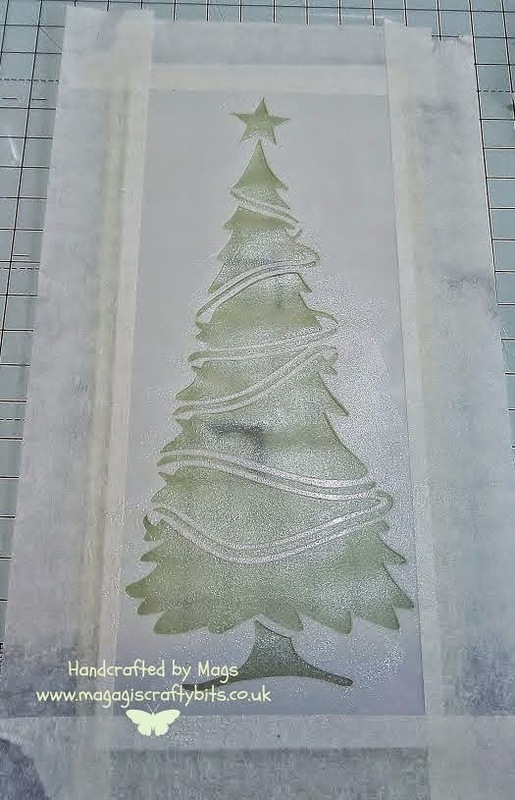 Spread Antique Bronze Sparkle Medium onto the trees on the stencil and use the mixed colour of Silkies or paint to stencil onto the rest of the image. Peel off your stencil, wait to dry then cut out. Add this onto a black card and add your sentiment to the bottom. 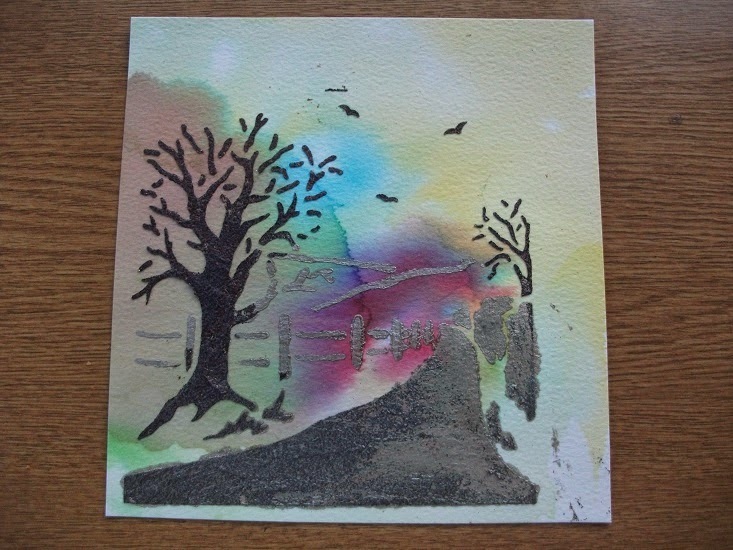 You can create all sorts of backgrounds by dropping inkadinks into wet water-colour paper - each one will be different and unique. Have a go and see what you can create for yourself.